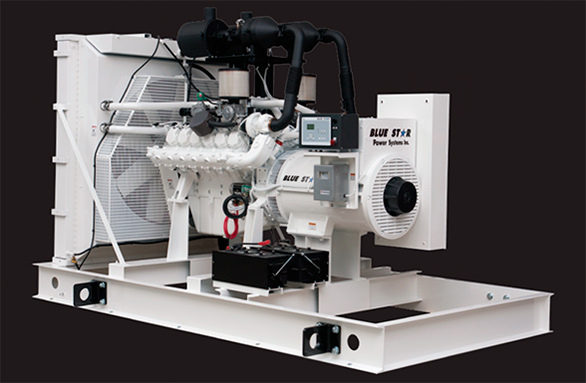 We offer Blue Star gaseous generator sets ranging from 25 – 425 kWe. Our Emergency Standby Stationary and Prime Power Stationary models include General Motors and Power Solutions Int. Our experience in gaseous makes ease of a wide variety of applications in a multitude of environments. Special applications are available in natural gas, propane, and combined fuel options. Meeting the most current EPA standards ensures offering the most innovative technical solutions for reducing emissions, and providing you with the best unit for your application. All units are UL 2200 Listed, CSA Certified, & Seismic Certified to IBC 2012.